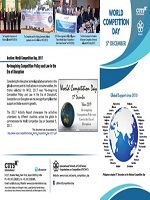 The International Network of Civil Society Organisations on Competition (INCSOC) has been floated by several civil society organisations as a coalition to promote a healthy competition culture in the world. 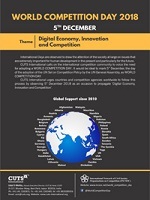 The concept came out of the extensive work on competition policy issues by Consumer Unity & Trust Society (CUTS), which floated the idea as a result of a path-breaking project on comparison of competition regimes in developing countries (popularly called the 7-Up Project). It revealed a crying need for building a network of stakeholders, especially civil society, so that the competition regimes at the national level could be strengthened, and developed where absent.